Many Many congratulations on your success. Could you possibly drop me an email at catchsantanu@gmail.com so that I can be in touch with you regarding a few questions about my readiness to start preparing for ACP? - No messages from them. Just show up on D Day. - IRIS Tech pack is the name of the building. - No need to carry anything except your valid ID proof. Yes the BC ratio could be negative. They are done in CSR initiatives where the company has to do projects which are of no profit nature and primarily for social causes. Assumptions are facts which you assume to be true but may prove to be false later in the project. So they provide a basic foundation to risk identification. Could you explain why? Any explanation given. A, B happens later. C is what is happening right now. D is what will happen just next. CCB is created as part of the Change Management Plan which happens in Planning. The fact that I see you discussing questions here gives me a strong feeling that not only shall you crack the exam but you will crack it hard .. go for it my frnd. You are more than READY ! 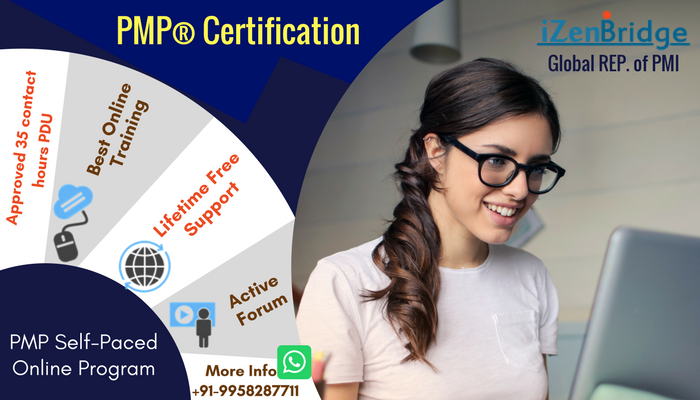 Topic: PMP cleared on 7th Oct 2015 ! Re: PMP cleared on 7th Oct 2015 ! Atul - Best of luck for your exam. You will do great. Saket - Thanks a lot Sirji. I shall be in touch. Hopefully I shall receive the email on your web sessions on my registered email address regularly. PMP cleared on 7th Oct 2015 ! Thanks Saket. It was an understanding gap which I had. Your blog clarified it all. Thanks again! Vivek, could you share the link? It would be useful for many. These questions (specially HR KA) squeeze the neck out of me .. However far I think, I end up choosing the wrong answer and then reading a doubtful reasoning. Could be a case of unauthentic question? How reliable is the source of the question? How is the Risk Analysis and Evaluation associated with Resource requirements? I feel that option B and C are better choices and have valid reasoning. The ultimate responsibility of project success is the PM; not Sponsor. The sponsor is responsible for making sure the project meets its objectives as defined in the charter. Am I missing something? Why is this NOT a Validate Scope process activity? If not, what work will happen in Validate Scope process in this example? This is a confusion area for me tooo.. WHETHER TO ADD THE PM SEPARATELY OR NOT? Saket (and any other PMP Expert) - Request you to pls explain this with some examples. Why does PMBOK say Gantt Chart then? Pretty confusing stuff ! Topic: Maximum support from team ? Re: Maximum support from team ? Expert and Reward are the best ones. Also between them Expertise is better as it is earned on PM's own capabilities whereas Reward is due to his authority on the project ..
Topic: What are sunk cost? Re: What are sunk cost? Thanks .. the link certainly did help. Appreciate. Hi could someone explain what are sunk costs? Please if you can explain with an example. I have Rita and have read it's example but could not understand fully. will these videos be updated in the online course of quampus?